Car accidents happen every day on Colorado’s roads, but that fact does not make them any less stressful. After an accident, you might be in pain and unable to work. Your car might also need repairs or be totally wrecked. As bills pile up in your mailbox, you are probably worried about how you will pay for all of these unexpected expenses. To obtain compensation for your accident and achieve peace of mind, follow the steps below. Colorado is a “fault” state, meaning the driver responsible for the crash must pay compensation to injured victims. You should also provide this information to the other driver. If you are at fault for the accident, you will need to compensate your victims. As much as you may want to, do not to take responsibility for the crash or apologize, since those statements could be used against you later. There will be time for apologies down the road. ● Take pictures of damage to both vehicles. Using a smartphone is fine. ● Take pictures of any skid marks on the road. ● Identify witnesses. Get their names and contact information. ● Call the police to come out and file a police report. This report will document the date, time, and location of the crash. Your health should be your primary concern. Remember to go to the doctor as soon as possible after the collision and discuss any symptoms you are experiencing. Some injuries, like fractures, cuts, and burns should be immediately apparent. However, other injuries like brain or back injuries might take longer to develop. Tell your doctor about all your symptoms – do not hold back. And always hold onto copies of your medical records and your bills. Depending on the circumstances, you might also receive compensation for pain and suffering, disfigurement, or disability. Your lawyer will be able to fully analyze all the evidence and properly calculate the amount your injuries are worth. Your lawyer can then negotiate a settlement with the at-fault driver’s insurance company or take the other driver to court. At the Olson Law Firm, we have helped countless motorists receive the compensation they need after a collision. 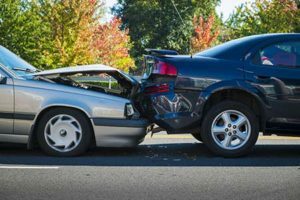 To schedule your free consultation with a Colorado car accident lawyer, please call 720-307-6389 or contact us online. We are happy to discuss your options, including whether you should consider filing a lawsuit for your injuries.